This is one of the best things I’ve eaten in a long time. 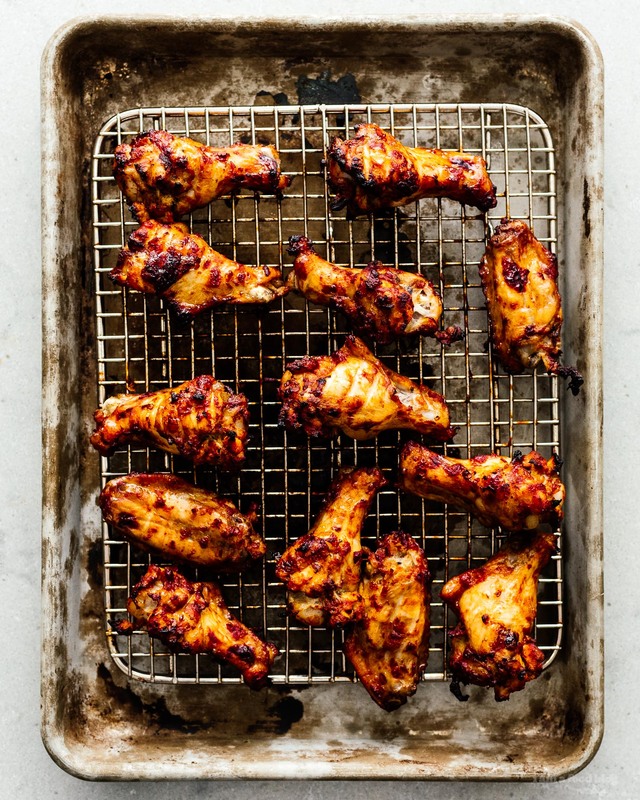 It’s an easy recipe for perfect oven broiled chicken wings complete with charred edges, crispy crunchy skin, and fall-off-the-bone meat that will make you never want to pull out the deep fryer ever again. The chicken is paired up with an adaptation of Rick Bayless’s incredible salsa negra recipe. 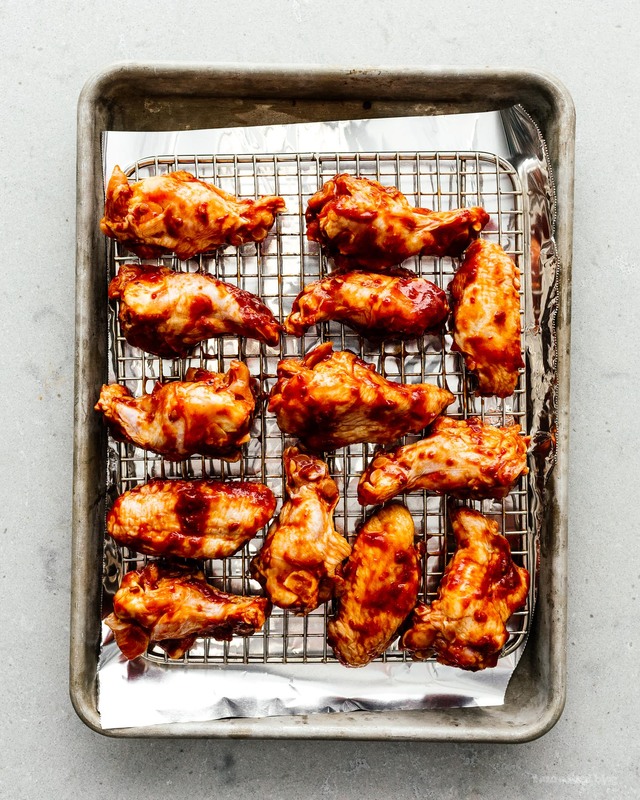 You can adapt this technique to any sauce you’d prefer, from hot sauce to honey garlic, and it’ll still be easier and healthier than deep frying, and worlds better than ordinary oven baked chicken wings. If you’ve never tried salsa negra before though, give it a shot before you try anything else. It’s sweet, spicy, and smoky in all the best ways. This isn’t a true salsa negra, it’s more like a genius easy version, but this is dinner & chill, who’s got time for buying so many ingredients, there’s tv to watch and wine to drink! Leaving the chicken out while you marinate it lets it come to temperature for more even cooking. 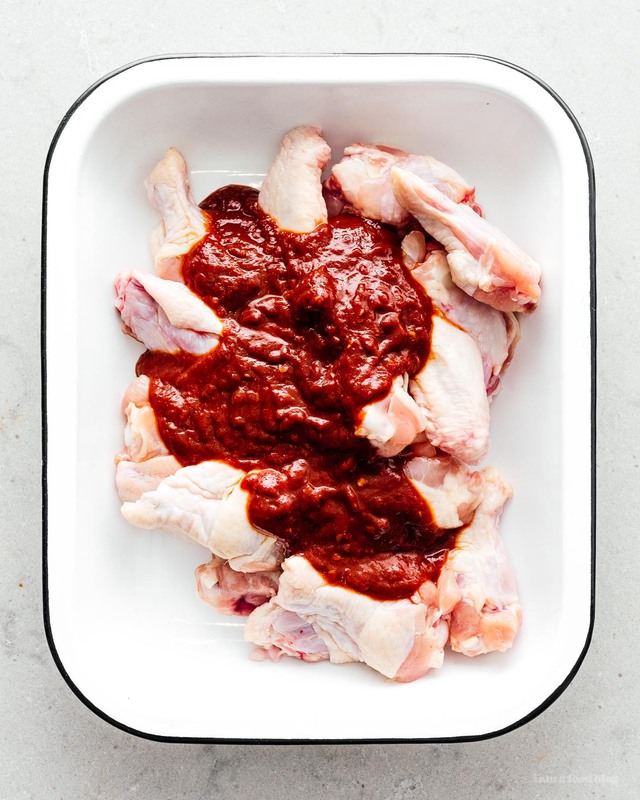 If the idea of this makes you squeamish, you can marinate in the fridge, but then you’ll need to add additional cooking time and, ideally, use a meat thermometer to check when the chicken has come to about 200°F (the fall-off-the-bone stage, for me). Salsa negra is simply spanish for black salsa, and it’s normally made with a mix of chiles, garlic, vinegar, sugar, and cumin. Here, Rick Bayless has substituted a single fairly easy to find ingredient – chipotles in adobo – and it works amazingly. A blender, an oven, aluminum foil, and a baking sheet with a rack that fits. Optional but great: a meat thermometer. What do you serve with it? You can demolish this on its own, or you can serve with mexican rice, tortillas, or a nice salad. If you’re interested in turning these into tacos, sub the wings for boneless skinless thighs and save 1/4 of the marinade for use as sauce. 1. Make a marinade by blending the sugar, vinegar, soy sauce, and chipotle in adobo. 2. 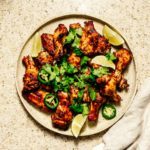 Thoroughly mix the marinade in with your chicken wings and allow to sit, covered, on the countertop for a minimum of 30 minutes and up to 2 hours (a gallon ziploc bag is perfect for this). 3. Preheat your oven to broil (500°F) with the rack set to the middle position. At the same time, cover a baking sheet with aluminum foil and place a rack on top. 4. When you are done marinating, position the chicken on the rack spacing each wing about 1/2” apart. 5. Place the chicken in the oven, check back every 5 minutes or so for signs of burning, you want a little char, but not too much. 6. After 15 minutes has elapsed, remove the chicken from the oven and move the rack up a position, then close the oven door so that no heat escapes. Flip the chicken and place back in the oven for another 10 minutes. 7. After 10 minutes, remove and enjoy immediately. Welcome to Dinner & Chill, a new series focusing on quick & easy weeknight dinners with easy to find ingredients, low prep, and low effort. 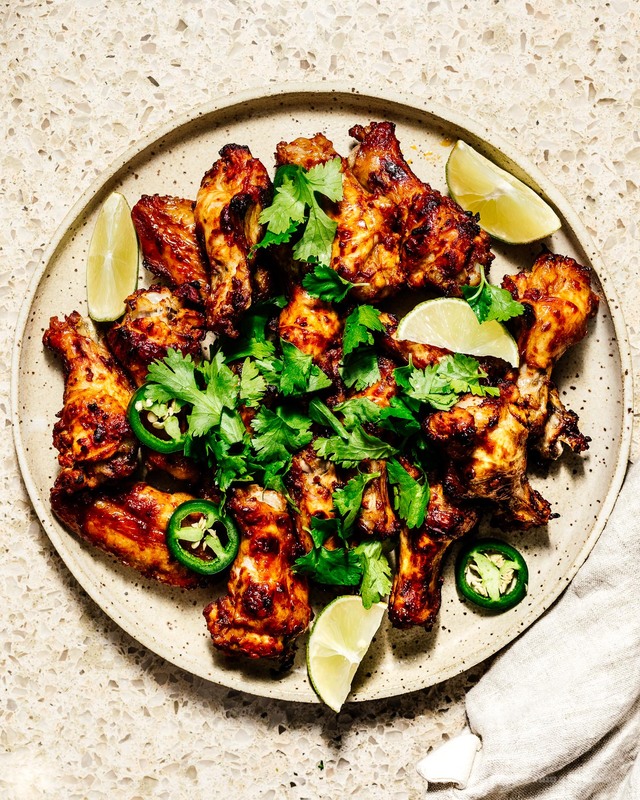 My fella LOVES chicken wings, shall have to give this a go! Really, Mike?…one entire can of chipotles? Not just 2-3? We love heat, but an entire can frightens me. Will put this recipe on my ‘to make’ list and report back! 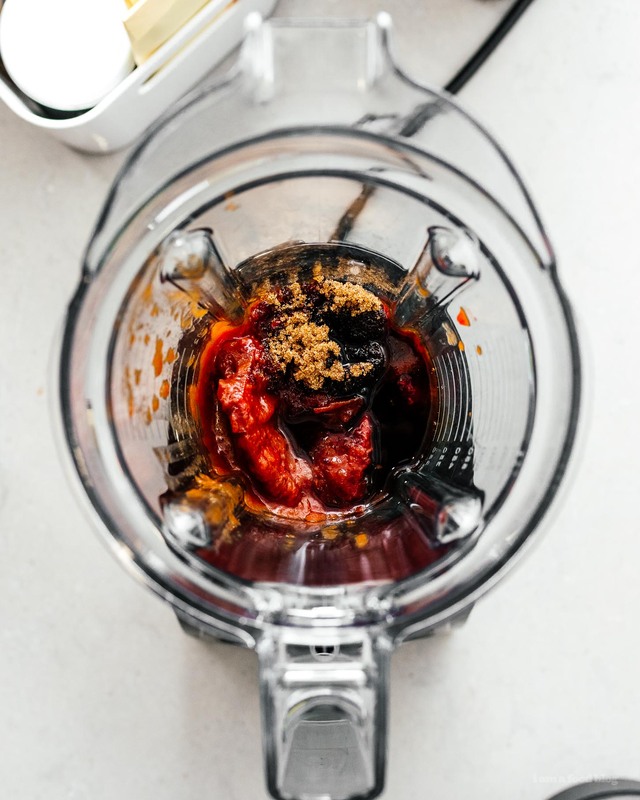 Haven’t been disappointed by any recipes yet…love this blog! Just to make sure, that’s a 7oz/212ml can you’re using? 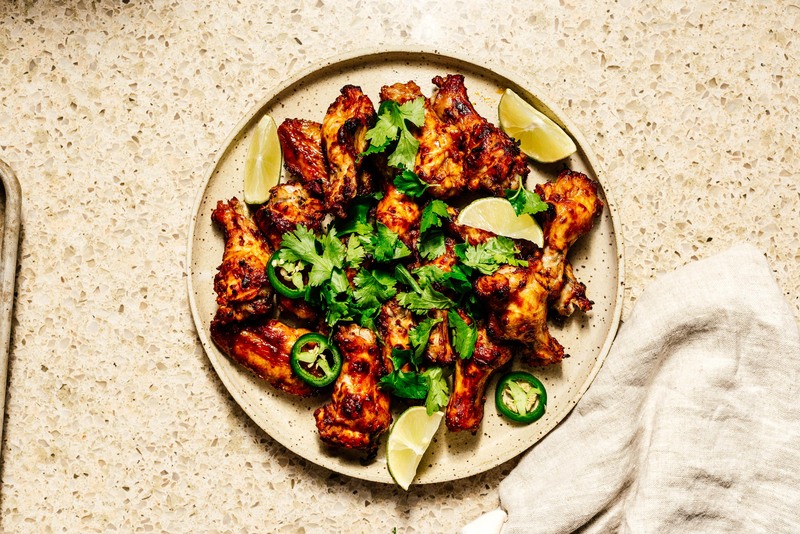 It wasn’t too spicy for either me or Steph, but definitely taste the marinade before you add it to the chicken and yes please, let me know if you hate it, thanks!